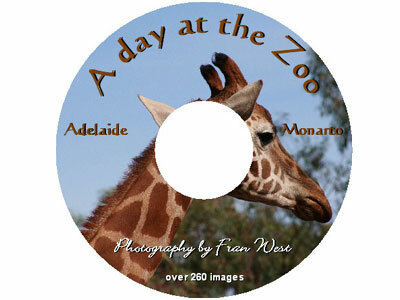 26 minute DVD movie (slideshow) presentation of 260 still photos of a visit to the beautiful garden setting of Adelaide Zoo with its wide variety of animals and birds, and the open plains setting of Monarto Zoological Park with its mostly African and Asian animals. 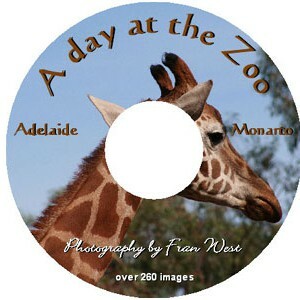 The background music, setting the mood of this presentation with drums, jungle and African rhythms, is accompanied by occasional animal and bird sounds. There are no captions or narration, to enable easy viewing and listening, and opportunities for reminiscence.